Sahara Care founder and managing director Sharon Kaur recently hosted a fun-filled party to celebrate the company’s 20th anniversary. To mark two decades of invaluable care for people with learning disabilities, physical disabilities, autism and behavioural needs, friends of Sahara Care, including the group’s carers and service users, gathered for a party at the company’s Parkside home in Barking on 26 June 2017. Guests enjoyed dancing and traditional Indian Bhangra dancing, as well as refreshments and food, and the date also marked the birthday of Sahara Care’s very own Sharon Kaur, who has been helping to shape the company’s wide range of assisted living services since 1997. 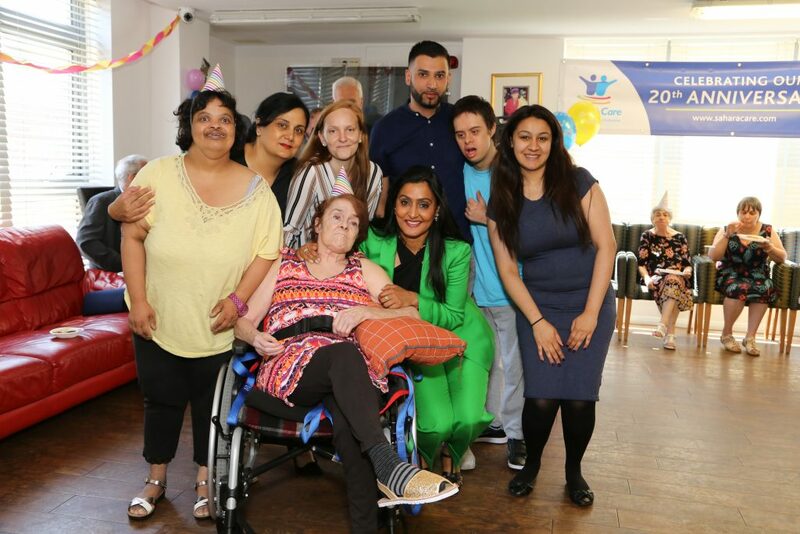 The care group, which has five homes in Ilford, Forest Gate and Barking, has spent the last two decades helping people with learning disabilities, physical disabilities, autism and behavioural needs to take control of their lives and the decisions that shape them. Over the years, the high quality of its care has seen some of its homes listed amongst the top 20 in London and its staff named as some of the best carers in the country at various national awards. Speaking about the success of the company as it celebrates 20 years in business, Sahara Care’s Sharon Kaur, said: “It is incredible to think how far our care group has come over the last two decades. “Starting as a relatively small care provider, we have expanded and expanded, creating a reputation for delivering outstanding care. “Much of this success wouldn’t have been possible without the dedication of our staff and the support of our residents’ families.